Imagine if instead of discarding broken objects or putting precious but unusable family heirlooms into storage, you could redesign them – and give them a new life? Canberra's Hotel Hotel teamed up with UNSW Art & Design and ANU School of Art and Design to make this idea a reality, inviting Canberrans to submit items for reimagination by a team of designers and repair experts. Twenty-nine objects were chosen – and their transformations are documented in this exhibition at Australian Design Centre. 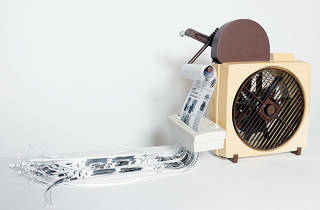 Broken knitting needles, originally used by a grandmother to teach her granddaughter to knit, are transformed into a bracelet; a hand-me-down kimono from a mother becomes a comfort pillow for her daughter; a faulty Mistral fan from the 1990s, that was the subject of a recall, is transformed into a hand-cranked paper shredder. You can read the incredible stories of each owner, object and re-design here. 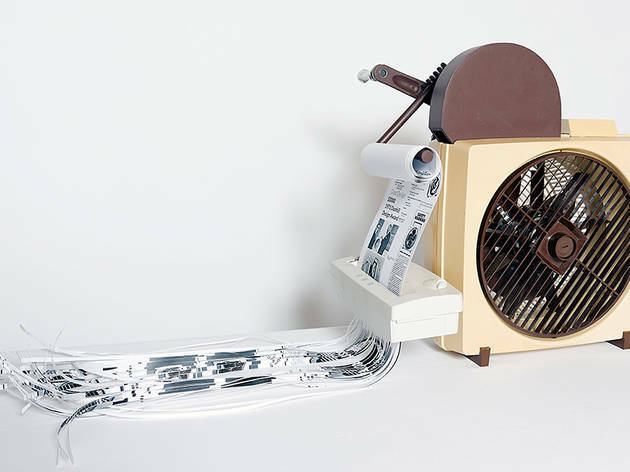 The designers/repairers for the project are: Andrea Bandoni, Corr Blimey (Louisa de Smet and Steven Wright), Susannah Bourke, Elise Cakebread, Thought Collider (Mike Thompson and Susana Cámara Leret), Daniel Emma (Daniel To, Emma Aiston), Franchesca Cubillo, Dale Hardiman, Benja Harney, Kyoko Hashimoto, Alison Jackson, Elbowrkshp (Elliat Rich and James B. Young), Trent Jansen, Guy Keulemans, Dylan Martorell, Scott Mitchell, Liam Mugavin, Rohan Nicol, Monique Van Nieuwland, Yutaka Ohtaki, Halie Rubenis, Niklavs Rubenis, SMaRT@UNSW, Naomi Taplin, Henry Wilson, and Richard Whiteley.